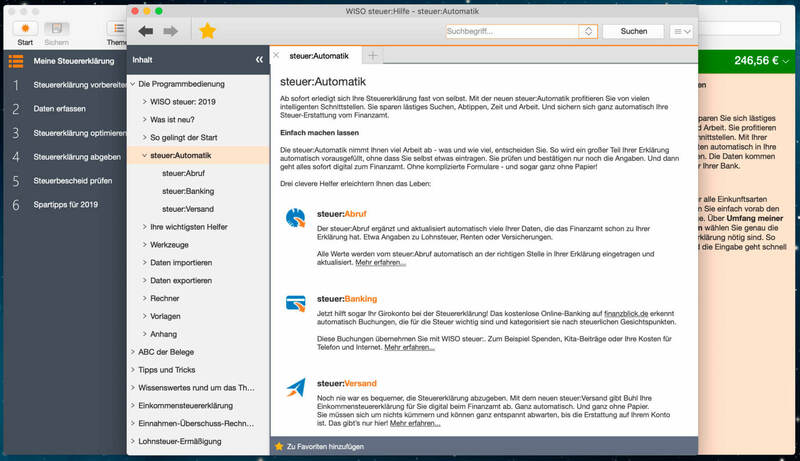 For the tax declaration 2019: WISO tax: – Germany’s popular tax software for the Mac! You can not go wrong. TOP NEWS for the upcoming tax declaration 2018: WISO tax: – Germany’s popular tax software for the Mac! And the test winner of the MacLife (in the test: WISO tax: Mac 2018, issue 4/2018). Money 4.7.2 – Personal accounting app. Quicken 4.3.0 – Complete personal finance solution. Moneydance 2017 – Personal finance manager.